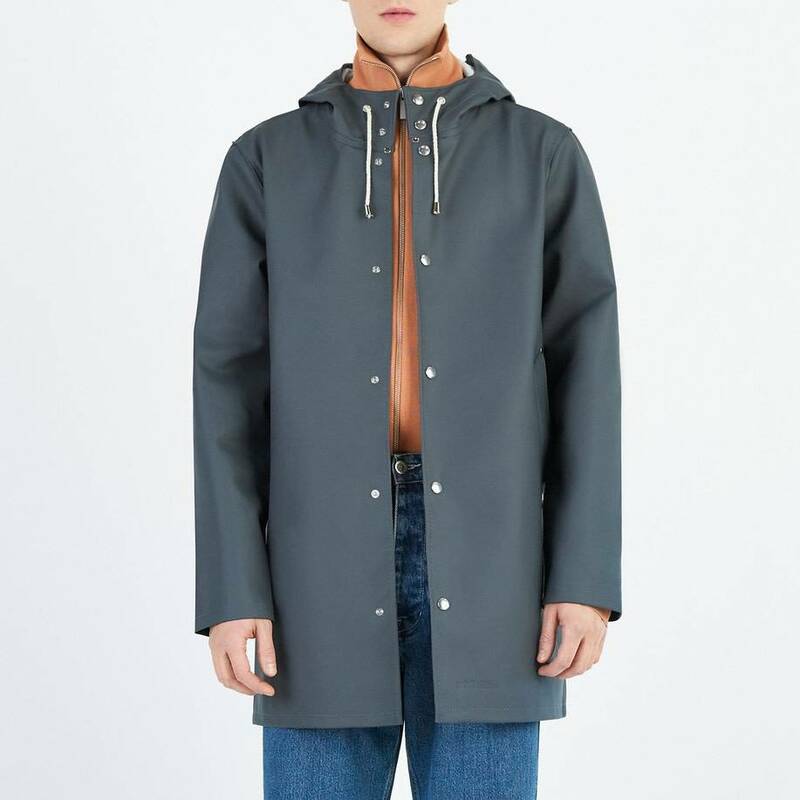 The Stutterheim Stockholm Raincoat Charcoal is handmade in rubberized cotton, comes unlined, with double welded seams, snap closures and cotton drawstrings. The finest craftsmanship is used to create this unisex style. 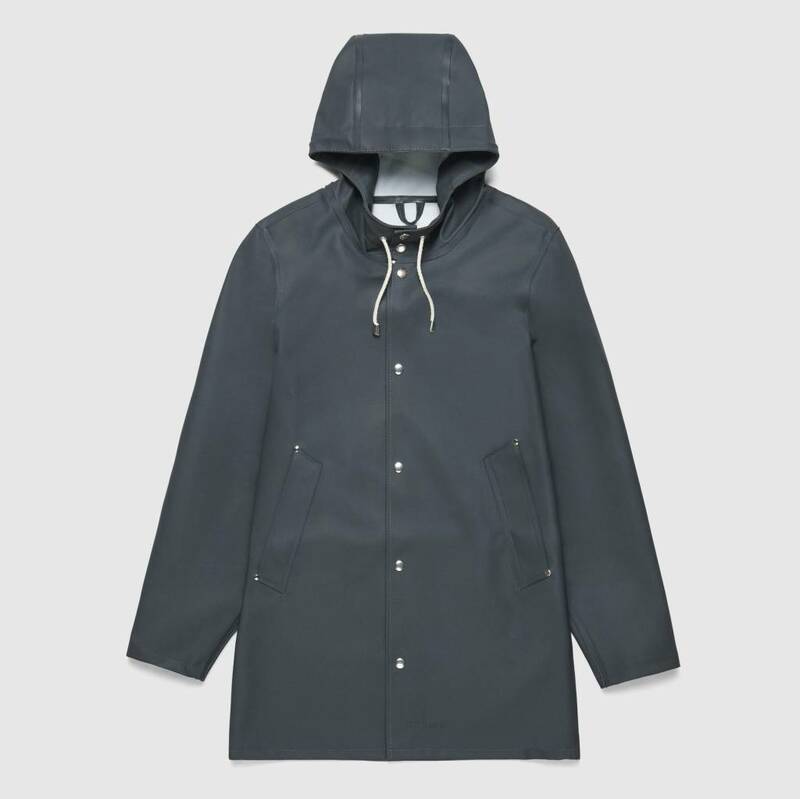 The Raincoats have undergone severe testing in horrible conditions both at sea and in the city. Each coat is individually quality-controlled by our skilled seamstresses.